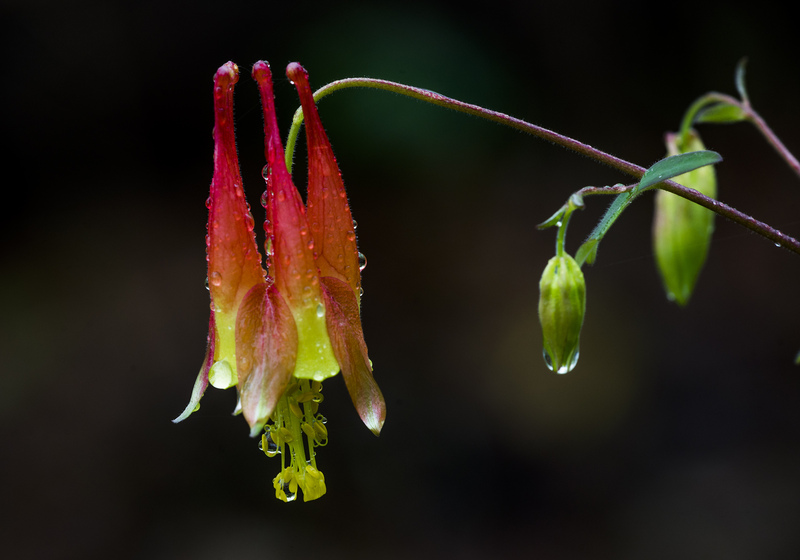 Posted on July 3, 2014 by Bernie KasperPosted in Clifty Falls, Clifty Falls State Park, columbine, flower photography, flowers, hiking, indiana photographers, indiana wildflowers, life, macro, macro photography, Madison Indiana, madison indiana photography, nature, nature photography, photography, thoughts, West Street Art Center, wildflowersTagged Bernie Kasper, Clifty Falls, Clifty Falls State Park, Flower, great smoky mountain national park, Indiana, Macrophotography, Madison Indiana, Photography, Southern Indiana, Wildflower. You are absolutely correct, Bernie. They are tough but you did a fine job finding a coupleisolated against a dark background. The drop of water on the anthers is a great added feature. 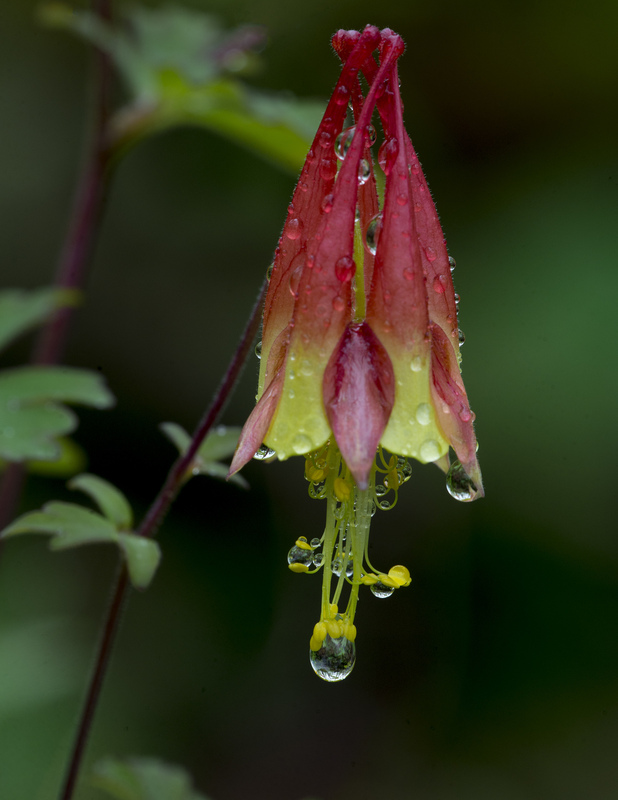 The water drops add the perfect touch to these lovely Columbine.